We now understand that the onset of symptoms of autism spectrum disorders is variable during the first two years of life. Signs are evident in some children from birth, while others may appear to be developing typically but then fail to progress. Other children may lose some of their already-developed skills. Words the child may have previously (and correctly) used to name or request objects, for instance, may no longer be uttered. This apparent slowing or regression in development usually becomes apparent between 15 to 24 months of age, but may begin even later. Autism spectrum disorders (ASDs) are a complex set of conditions that affect more than 1% of children. They are characterised by difficulties in the core areas of social communication and language, accompanied by restricted and repetitive behaviours and interests. Although largely genetically determined, we still do not understand all of the causes of ASDs. There are currently no available cures. So the best evidence to date points to early identification and behavioural intervention as the best way to minimise the effects of these conditions on the developing child. If behavioural intervention can be accessed as soon as there are early warning signs – before the onset of the “full-blown” syndrome – it’s possible to target the developmental precursors of ASDs. 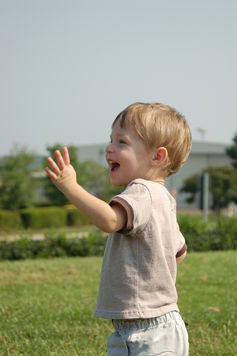 This improves the chances of the child moving toward a more typical developmental trajectory. 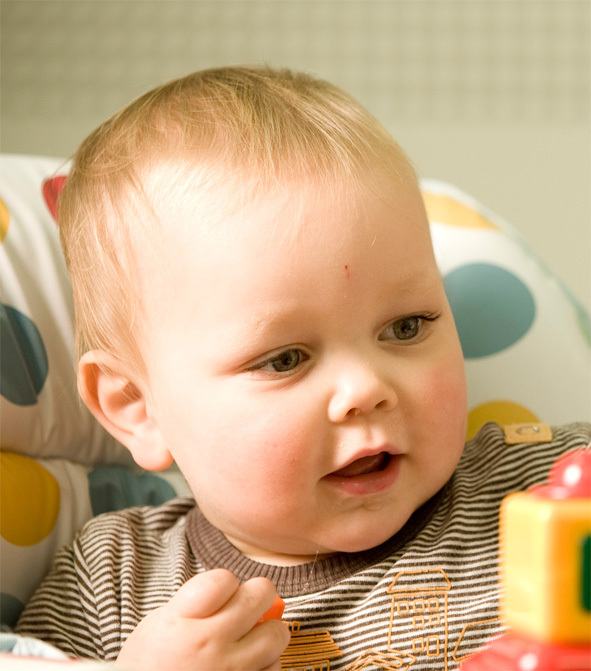 A baby who doesn’t respond when his name is called, or shows no signs of imitating others’ behaviours such as clapping and waving, and instead seems to be on their own agenda, is a candidate for early intervention. This child needs to be brought back into the social loop so that he can begin to learn from others. Indeed, there is growing evidence that interventions begun in the first years of life, while brain plasticity is greatest, can maximise children’s developmental outcomes. A 2011 study from the United States, for instance, found that early, intensive behavioural intervention can “normalise” the brain – though this study needs to be replicated to confirm the results. Despite the increased likelihood of positive developmental outcomes from early intervention, many professionals are wary of raising concerns with parents of very young children, claiming they “aren’t ready” to hear that something is amiss with their child’s development. And for their part, parents often worry about “labelling” their child from a young age. Together, these hesitations are barriers to better outcomes for both the child and family. Maternal and child health nurses and GPs need to become skilled at having timely conversations with parents about the developmental risks being faced by their child, however young the child and however mild his presenting symptoms may be. We also need to educate parents about what to expect from their developing child during their early months and years, so that parents are forewarned about typical early social communicative development. So what are the early signs? Our perfect newborn may sleep well, feed well and meet all his motor milestones, but may still show signs of atypical social communicative development during his first two years of life. Ask yourself: does he have reduced or atypical eye contact? 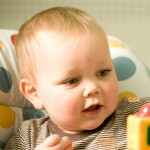 Does he combine his eye contact with other communicative behaviours, such as smiles and coos? And does he smile while looking at you? Typically developing babies should do so by about eight weeks. At 12 months, your baby should be sharing her world with you by initiating pointing, particularly to show you something rather than simply to request. She should follow your point when you are trying to show her something. Your child should orient to you when you call his name. And you shouldn’t have to do so many times to get a response. Imitative behaviours such as waving bye-bye and clapping emerge toward the end of the first year of life, and there is an increasing interest in playing with toys and pretend play towards the second year. 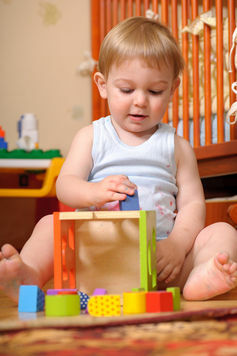 Early words begin to emerge by at least 18 months, and children should be joining them by two years. A growing interest in other children is a normal part of toddlerhood; an inability to engage and communication with others, or even a reduced ability to do so, may indicate risk of a developmental anomaly, including ASD. If you have any concerns about your child’s early social attention and communication, it’s critical to raise them with your primary health-care provider. If he or she dismisses your concerns, seek a second opinion – because when it comes to development, time matters. Cheryl Dissanayake receives funding from the NHMRC and several philanthropic grants.